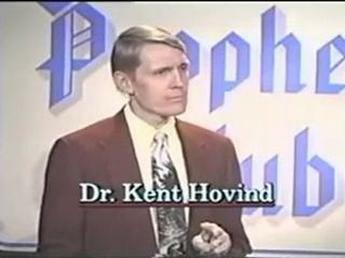 "Kent E. Hovind (born January 15, 1953) is an American Christian fundamentalist evangelist and tax protester. He is a controversial figure in the Young Earth creationist movement and his ministry focuses on attempting to convince listeners to deny scientific theories including evolution, geophysics, and cosmology in favor of a literalist interpretation of the Genesis creation narrative found in the Bible. Hovind's views, which combine elements of creation science and conspiracy theory, are dismissed by the scientific community as fringe theory and pseudo-scholarship. Moreover, he has been criticized by Young Earth Creationist organizations like Answers in Genesis for his continued use of discredited arguments that have been abandoned by others in the movement."